The U.S. Marshals in the Northern District of California have joined the manhunt for Ricardo Colindres, 26. The incident occurred at the Casa Pacifica Apartments at approximately 8:10 a.m. on April 27. 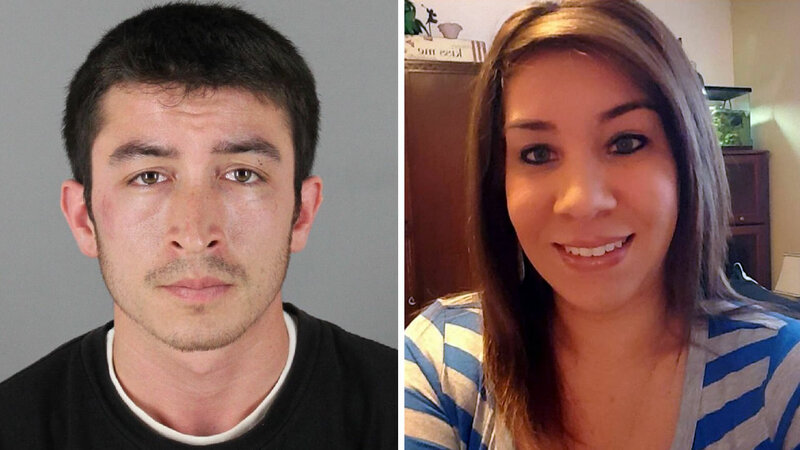 Police said Colindres tried to kidnap Marissa Johnson and when she resisted, he shot her. Johnson is eight months pregnant. Officials said both she and her unborn child were both expected to be okay. Police said the vehicle that Colindres was driving has not been located. It is described as a silver 2003 Toyota Corolla, bearing California license plate 6CGN644. The U.S. Marshals have also added Colindres to the Northern California Most Wanted website. Pictures of Colindres can be seen at the website, and tips can be also submitted. All tips will be investigated, and anyone submitting a tip by phone or email has the option of remaining anonymous. "We are enlisting the public's help in our effort to find Mr. Colindres," said Don O'Keefe, U.S. Marshal for the Northern District of California. "An assult like this on a member of our community is an assault on us all. The fact that Ms. Johnson was 8 months pregnant makes this act even more heinous, and only increases our resolve in bringing the perpetrator to justice." Colindres is described as a Hispanic man, about 5 feet 5 inches tall, who weighs 125 pounds and has brown hair and brown eyes. He is considered armed and extremely dangerous. The firearm used in the incident has not yet been recovered. Colindres is a known transient, who frequents the Brisbane area. He has family ties to Brisbane, as well as the Lodi and Burson areas. He is also known to frequent the Las Vegas area. Anyone with information about his whereabouts is asked to call 911 or Pacifica police at (650) 738-7314, or the U.S. Marshals at 1-800-336-0102. Community members are cautioned not to approach Colindres since he is considered armed and dangerous. Click here to contribute to Marissa Johnson's recovery.